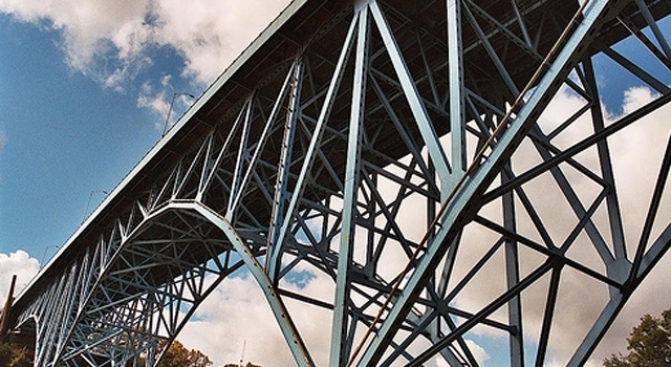 The All America Bridge in Akron, Ohio is known to locals as the suicide bridge. We're not alone on the Golden Gate Bridge suicide net. The All-America Bridge in Akron, Ohio, is nicknamed the Suicide Bridge by locals, and they're now going to use federal stimulus money to help build a fence. Says the mayor: "I think that for a community to have, and I’m going to use this word, an icon that represents suicide, and then not to take some action, do something — we’d really look like an uncaring community."